Hello, Joel Greene here from Condo Hotel Center. I just heard from my contact at The Blue Hyatt Residences, and he quietly told me about a few condo hotel units and townhomes at the golf resort being offered for a short time at heavily discounted prices. I couldn’t wait to get off the phone and begin typing up this Property Alert! I’ve been to The Blue Hyatt Residences many times, and the rooms are gorgeous. It is a condo hotel, which means you are purchasing a fully-furnished home, and you’ll have the option to participate in the professionally-managed rental program by Hyatt, which can generate revenue to offset your costs of ownership. The Blue Hyatt Residences is a condo hotel amid a golfer’s paradise. Now here’s the exciting part. Usually the three-bedroom, 2,101 sq. ft. townhomes go for $450,000-$690,000, which comes to $214-$328 per square foot. But, according to my onsite contact, a few of these townhomes are now being made available at the special price of $375,000. Doing the quick math, that means they’re going for $178 per square foot, a tremendous savings! Additionally, spacious one bedroom/two baths with nearly 1,100 sq. ft. of interior space have also been reduced. Previously priced at a range of $245,000-$312,000, now they are starting at $220,000. And 704 sq. ft. studio units are starting from just $160,000. 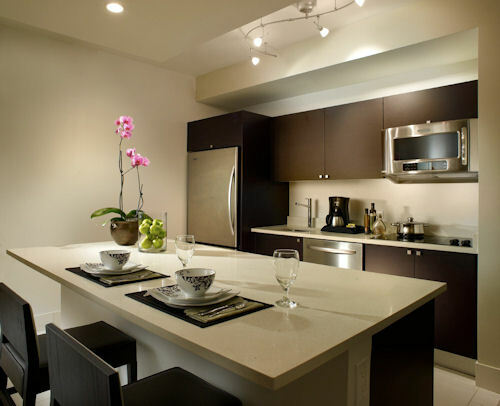 As a condo hotel, homes at The Blue Hyatt Residences are provided fully furnished. Now, at The Blue Hyatt Residences, you can own a spectacular residence located directly on this most famous of courses and enjoy the best of urban, tropical resort, and country club pursuits. The individual residences have been outfitted with the highest quality features and finishes. This lush, tropically-landscaped property spans 17 acres surrounding the Blue Monster golf course. 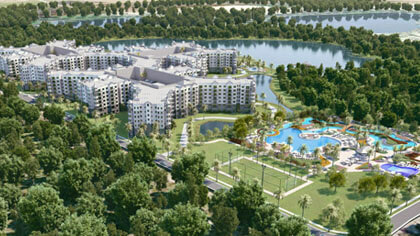 It includes 15 villas, each with 16 residences, including two three-bedroom town homes. The villas have a Key West-style tropical feel. There are 240 units in the entire property. Each residence has its own terrace with views of golf fairways that face west towards the 12th and 13th hole of the course. Construction was completed in 2009. Closings can take place in just a few weeks, as the residences are move-in ready. The Blue Hyatt Residences is a four-star property offering a full complement of luxury amenities. If you’re a golfer, then the feature you’ll most appreciate will be that just steps from your townhome, you’ll find five (yes, five!) 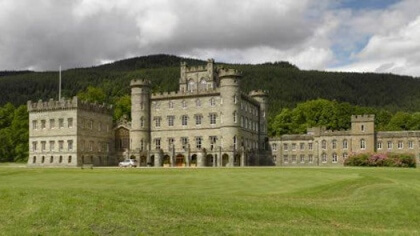 distinctive golf courses. 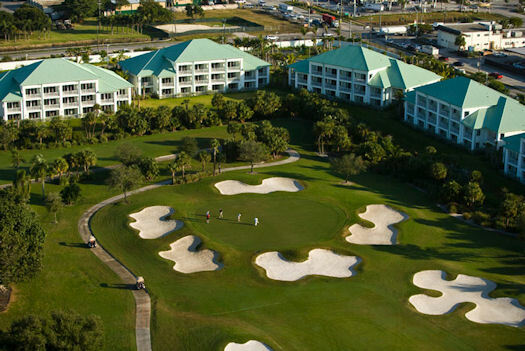 Plus, you’re just a short drive away from additional top-ranked Miami golf courses. After a morning round of golf, relax poolside on the resort’s expansive deck. 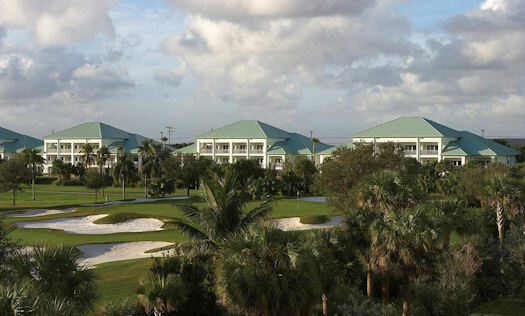 At the end of February, Donald Trump closed a $150 million deal for the Doral Golf Resort & Spa. 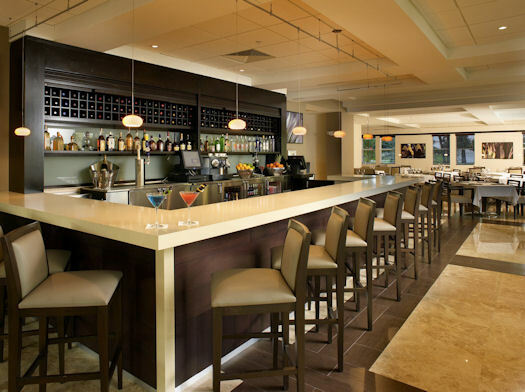 The Blue Hyatt Residences are located in Doral, adjacent to the Doral Golf Resort and stand to benefit from any area promotions and increased tourism. The Trump Hotel Collection, the hotel management division of the Trump Organization will assume management from Marriott of the 693-room Doral golf resort, taking over operations by June 2012. The Blue Hyatt Residences are adjacent to the Doral Golf Resort, just purchased by the Trump Hotel Collection. Trump will spend an additional $150 million to renovate the property’s hotel and four of its five golf courses, according to The Miami Herald. “When completed, Doral will be the finest resort and golf club in the country,” Trump said in a statement. That bodes well for The Blue Hyatt Residences next door, which will likely see higher occupancy rates. There’s no place hotter than Miami. From South Beach to the Miami Heat to Art Basel, The Blue Hyatt Residences puts you right in the heart of one of Miami’s most sought-after destination neighborhoods. The Blue is only 15 minutes to Miami International Airport and the Dolphin Mall, 15 minutes to downtown Miami, and 20 minutes to the ocean and exciting South Beach with its many restaurants, shops, clubs and bars. With a condo hotel purchase at The Blue Hyatt Residences, you’ll receive a complimentary one-year membership to Nikki Beach Worldwide with exclusive privileges at Nikki Beach Miami and exotic locales around the world. Condo owners, who enter the rental program, also have the option to participate in the Hyatt Vacation Club, which provides its members with vacation ownership opportunities all over the world. 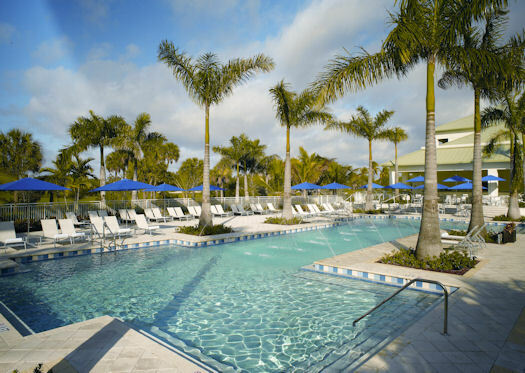 Owners will enjoy a complimentary six-month Legends Sports & Spa membership to the Club at Doral®. The Doral membership includes preferred pricing at the TPC Blue Monster and other Club courses. Owners at The Blue Hyatt Residences can place their unit in the optional rental program. I’ve got plenty more photos and facts about The Blue Hyatt Residences in my data sheet. It’s yours free for the asking. Just complete the developer-required form at the link below, and we’ll get that right out to you. Request The Blue Hyatt Residences data sheet here. 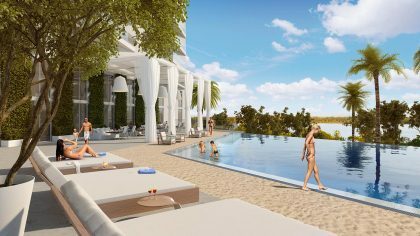 In my last Property Alert I told you about Eden House, the luxurious Miami Beach condominium on the Intracoastal Waterway. That property is now more than 80% sold out to buyers from all over the world, and it hasn’t even been publicized or made available to the general public yet. I’m excited to see South Florida real estate bouncing back after the past few down-and-out years. Based on the volume of inquiries I get each week, I sense the market has turned the corner, and it’s concrete examples like Eden House that confirm my happiest beliefs. As always, thank you for your interest in the properties we showcase at Condo Hotel Center. Please feel free to forward this Property Alert to anyone you know who might be interested in our offerings.